If you operate a commercial food service business – such as a cafe, restaurant, takeaway shop, bakery etc – you will likely be required to have a grease trap installed (by your local water authority). What is a grease trap? A grease trap or grease interceptor – is basically a water filled box – that traps grease when it goes down the sink. A business with a commercial kitchen produces lots of grease, oil and food scraps – and if not blocked and removed by a grease trap – they will cause plumbing issues and blockages. When should your greasetrap be cleaned? – Cleaning grease trap frequency or schedule will be set by your local water authority – such as Sydney Water, Icon Water etc. They will calculate this based on your business activity and grease trap dimensions. This can be monthly, quarterly etc. Commercial grease trap cleaning – involves the water being turned off – and all the contents of the trap being pumped / sucked out. Note – all the contents including oil, grease and water is removed. The grease trap cleaner then scrapes down the bottom and sides of the trap and refills it with water. What can happen if a grease trap is not regularly cleaned or pumped out? Without grease trap maintenance and regular grease trap waste disposal – a interceptor will become clogged with grease (or backed up). This can lead to a leaking or overflowing grease trap. This can really impact a food service business. Contact Waster today if you have any questions regarding grease trap maintenance, grease trap cleaning or disposal. Most people have lots of questions! We operate on flexible 30 day agreements – so you never need to sign a long term contract for your grease trap cleaning services with Waster. Ensure no emergencies or grease trap overflow! A grease trap is a requirement for commercial kitchens such as cafes, restaurants etc. As long as you arrange a regular grease trap emptying and cleaning frequency (in accordance with that set by your local water authority regulations) you should not face any issues or risk an unpleasant overflowing or leaking grease trap. This can really impact a customer service business. Waster focuses on cleaning grease traps in all metro regions - in a professional, reliable and cost effective manner for your business. It is vital to ensure your greasetrap is cleaned on schedule. Good grease trap cleaners comply with the water authority set schedule - to ensure no overflows or other issues. Thorough oil trap cleaning. Our grease trap cleaners do a great job. The contents of the trap are pumped out and the bottom and sides of the trap are scraped down. Our quoted grease trap cleaning price is all inclusive. We charge a minimum fee for 1000 litre grease trap size. For larger traps - the additional litres are charged on a per litre fee. There is no other cost. Waster cleans grease traps on flexible terms. You do not need to sign a long term i.e. multi year contract like would be required with other grease trap companies. Yes, I Know What I Am Looking For - Take Me Straight To The Cleaning Grease Trap Price Options And Details! If you already know that you need to arrange a scheduled grease trap cleaning service for your business -you will be wanting to know the price and service details. Pricing is very straightforward – we charge a per litre rate with no additional fee. For example – scheduled grease trap cleaning Sydney (in April 2019) costs $0.21+GST per litre for scheduled services – with a minimum fee of 1000 litre grease trap cleaning. Grease trap disposal pricing is provided in our online portal for all metro regions such as Sydney, Melbourne, Brisbane, Canberra, Darwin, Hobart, Newcastle, Wollongong, Adelaide, Geelong and Perth..
All services are performed in line with local water authority grease trap regulations – so you will never have your grease interceptor serviced too frequently. There are no other fees or charges. The service fees includes pump out of trap, scraping down of the sides and bottom of trap – to ensure no grease trap overflow or backup – from clogged grease. An overflowing grease trap can be very stressful for a business – in particular a food service business with demanding customers. Choosing Waster ensures your grease trap maintenance is kept up to date and minimises any potential issues. When choosing grease trap cleaners – ensure you ask your grease trap company the right questions. 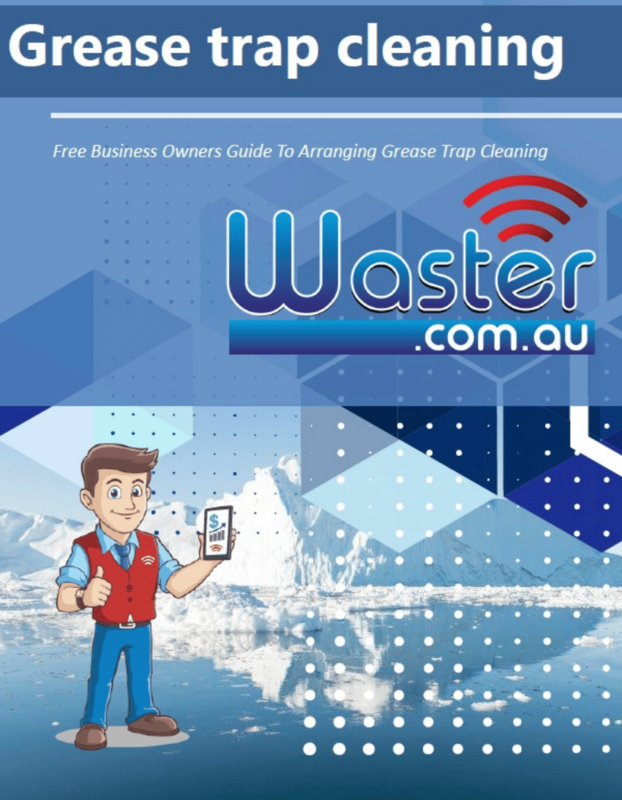 With Waster – you will get all the answers – and a low cost, reliable grease trap emptying service. CHECK GREASE TRAP CLEANING PRICING AND OPTIONS ONLINE NOW! What to know before arranging grease trap cleaning for your business! 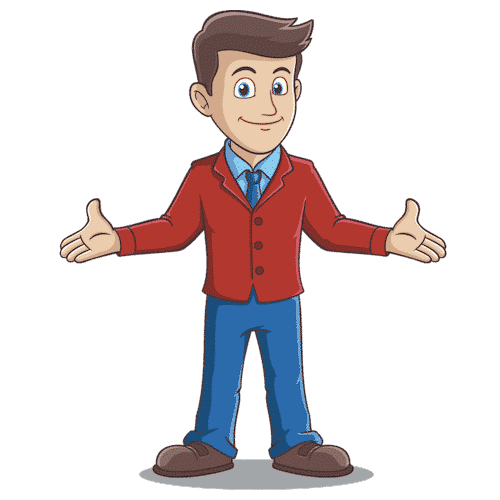 Get your free PDF download covering everything a smart business owner or manager needs to know before arranging grease tank cleaning services for your company. Learn what questions to ask - and mistakes to avoid! Waster is fundamentally different to other grease trap companies or waste management companies in a number of ways. We are focused exclusively on small and medium companies – so we know exactly the types of challenges you face and the business objectives that you have. We offer all waste and recycling services available in the Australian market (not just grease interceptor trap pump-outs) – the type of services that were previously only available to major multinationals and large chains. We work with our clients to reduce costs – usually by boosting recycling (so you avoid landfill levies wherever possible) but also by stripping away extra and unwelcome charges such as bin rentals, site fees, environmental fees etc. – the list goes on and on! Whether you are a new business venture – or have been in business a long time – we can help you save money, help the environment and improve your flexibility. We help many businesses like cafes, restaurants and others with sanitary services, grease trap cleaning and of course general waste also! WARNING: Before you book your business grease trap cleaning services / pump outs with Waster – think do you have other waste management and recycling services with different providers that we can help you with today? Nearly every company has general waste bins (red bin for waste), other recycling bins such as commingled services, paper and cardboard or organic food waste bin services. Whether you are a busy cafe or restaurant – you will likely require additional waste and recycling services. If you have many different service providers currently – you are likely paying way too much – and can save money today! GET A FREE COST SAVINGS ANALYSIS AND COMPARISON ON YOUR WASTE & GREASE TRAP CLEANING!